Waxman, Meyer. A Handbook of Judaism. As Professed and Practiced Through the Ages. Chicago. L.M. Stein. 1953. 210 pps. Octavo. Hardcover. Enlarged edition. Fine copy. Waxman, Sharon. Rebels on the Backlot. Six Maverick Directors and How They Conquered the Hollywood Studio System. New York. Harper. 2005. Octavo. Hard cover. First edition. Illustrated. Fine copy (name on end paper) in fine dust jacket (in mylar). Way, Judith. Wise Women of Mountain Village. Inscribed by the author. 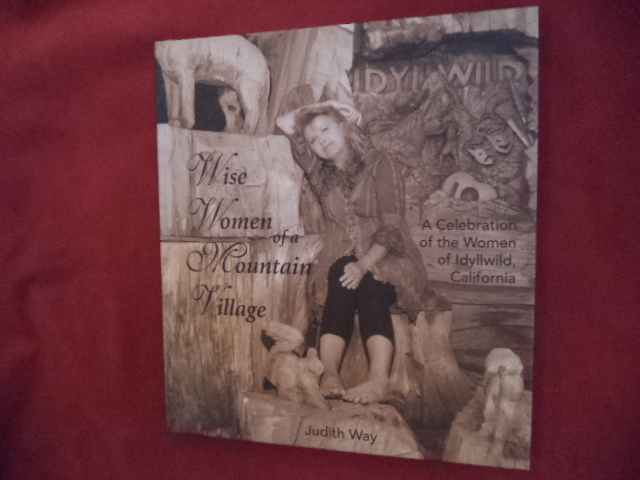 A Celebration of the Women in Idyllwild, California. Photo available. Idyllwild. Jim Crandall. 2014. 136 pps. 4to. Decorated hard cover. Second edition. Illustrated in black, white and color. Important reference work. Inscribed by the author "Love you (heart) Judith". Fine copy. Weatherford, Doris. Foreign and Female. 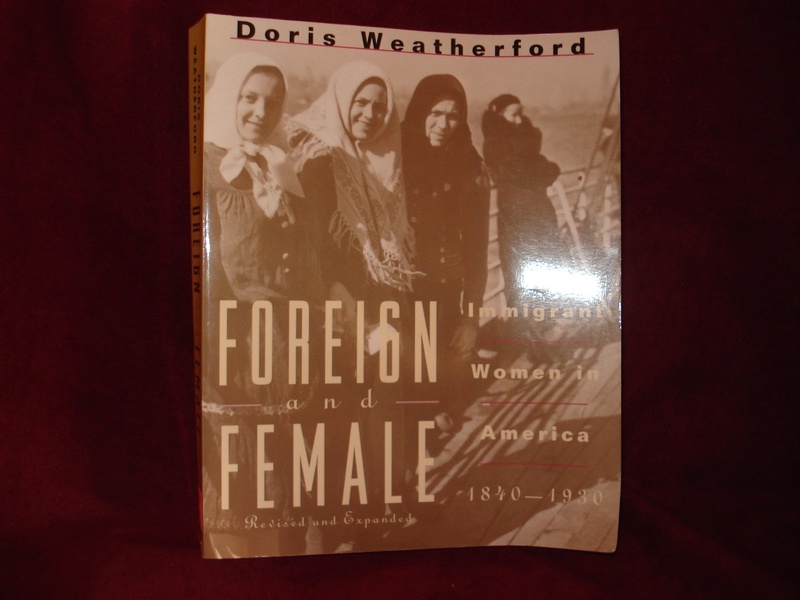 Immigrant Women in America. 1840-1930. Photo available. New York. Facts on File. 1995. Octavo. Soft cover. First edition. Illustrated. Fine copy. Weatherford, Gary D. (ed). 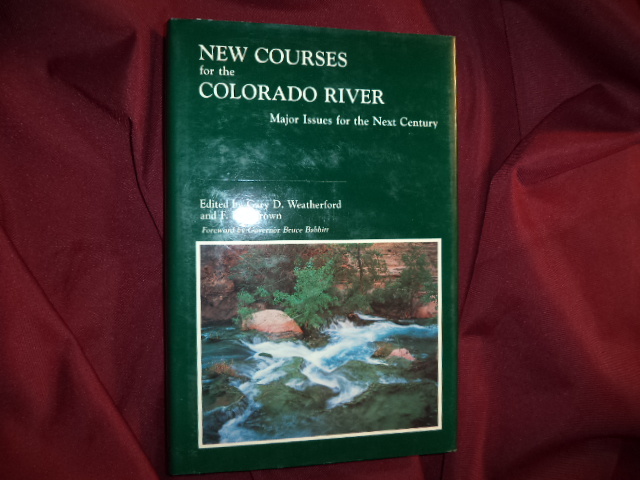 New Courses for the Colorado River. Major Issues for the Next Century. Photo available. Albuquerque. University of New Mexico Press. 1986. Octavo. Hardcover. First edition. Fine copy in fine dust jacket (in mylar). Weatherman, Hazel. Price Trends 5. A Supplement of Colored Glassware of the Depression Era. Springfield. Glassbooks. 1973. 96 pps. Octavo. Soft cover. First edition. Illustrated. Near fine copy (very light shelf wear). Weatherman, Hazel. Price Trends 6: Colored Glassware of the Depression Era. Supplement. Springfield. Glassbooks. 1974. 128 pps. Octavo. Soft cover. First edition. Near fine copy (very light shelf wear). Weatherman, Hazel. Price Trends Depression Glass. 1981. Springfield. Glassbooks. 1980. 144 pps. Octavo. Soft cover. First edition. Illustrated. Fine copy. Weatherman, Hazel. Price Trends Depression Glass. Book 1. Springfield. Glassbooks. 1980. 144 pps. Octavo. Soft cover. First edition. Illustrated. Fine copy. Weatherman, Hazel. The 2nd Price Watch to Fostoria. Springfield. Glassbooks. 1977. 152 pps. Octavo. Soft cover. First edition. Illustrated. Near fine copy (very light shelf wear). 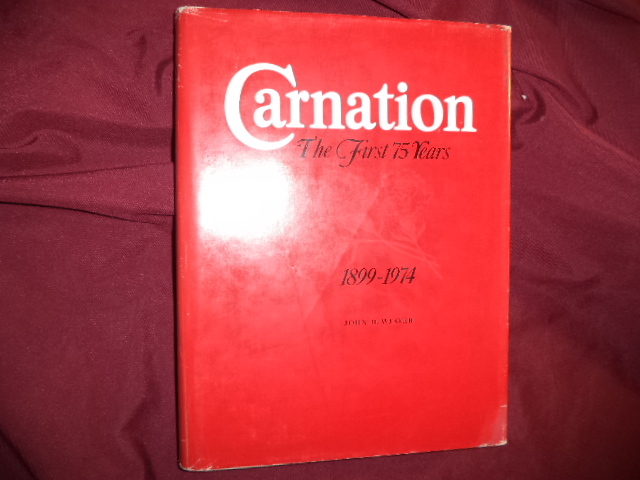 Weaver, John D. Carnation. The First 75 Years. Photo available. Los Angeles. Self published. 1974. 4to. Hard cover. First edition. Illustrated in black, white and color. Near fine copy (very light shelf wear). 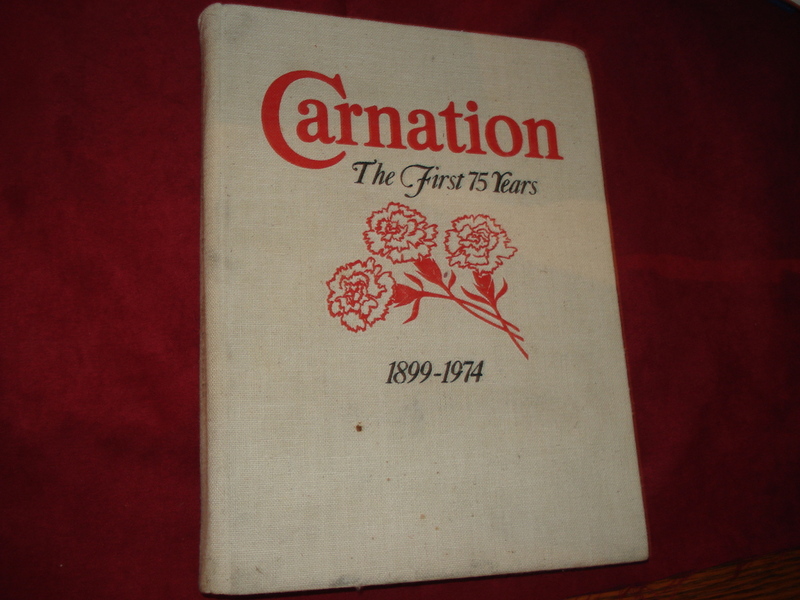 Weaver, John D. Carnation. The First 75 Years. Photo available. Los Angeles. Self published. 1974. 4to. Hard cover. First edition. Illustrated in black, white and color. Fine copy in near fine (very light shelf wear) dust jacket (in mylar). Weaver, Paul H. News and the Culture of Lying. How Journalism Really Works. New York. Free Press. 1994. 243 pps. Octavo. Hardcover. First edition. Fine copy in fine dust jacket (in mylar). Weber, Bert. Dredging for Gold. Photo available. Medford. Webb Research. 1994. 100 pps. Octavo. Soft cover. First edition. Illustrated. Fine copy. Weber, Charles E. The 'Holocaust' 120 Questions and Answers. Torrance. Institute for Historical Review. 1983. Octavo. Soft cover. First edition. Fine copy. Weber, Karl (ed). Waiting for "Superman". How We Can Save America's Failing Public Schools. New York. Public Affairs. 2010. Octavo. Soft cover. First edition. Fine copy. Weber, Theresa Lund. Pompeii, Herculaneum, and Versuvius. Firenze. Bonechi. 1984. 96 pps. Octavo. Soft cover. First edition. Illustrated in color and black & white. Fine copy. Webster, David. Scottish Highland Games. Photo available. Edinburgh. Reprographia. 1973. Octavo. Hardcover. First edition. Illustrated. Important reference work. Fine copy in near fine (blemish on front panel) dust jacket (in mylar). Webster, Nesta H.(elen, 1876-1960). Secret Societies and Subversive Movements. Hawthorne. Christian Book Club. nd. 419 pps. Octavo. Soft cover. Reprint. Near fine copy (very light shelf wear). Webster, Nesta H.(elen, 1876-1960). Surrender of an Empire. London. np. 1931. 392 pps. Octavo. Soft cover. Reprint. Fine copy. Webster, Nesta H.(elen, 1876-1960). The French Revolution. Costa Mesa. Noontide Press. 1988. 519 pps. Octavo. Soft cover. Reprint. Fine copy. Webster-Doyle, Terrence. Operation Warhawks. How Young People Become Warriors. Possibly Inscribed by the author. Photo available. Middlebury. Atrium Society. 1993. Octavo. Soft cover. First edition. Illustrated in black, white and color. Fine copy. Wechsberg, Joseph. The Merchant Bankers... Chronicle of the Great Financial Families of the World. New York. Pocket. 1966. Octavo. Soft cover. First edition. Fine copy. Wedd, J.A. Dunkin. Pattern & Texture. Sources of Design. London. Studio Limited. 1956. 96 pps. Octavo. Hardcover. First edition. Illustrated in color and black & white. Fine copy in near fine (light edge wear) dust jacket (in mylar).